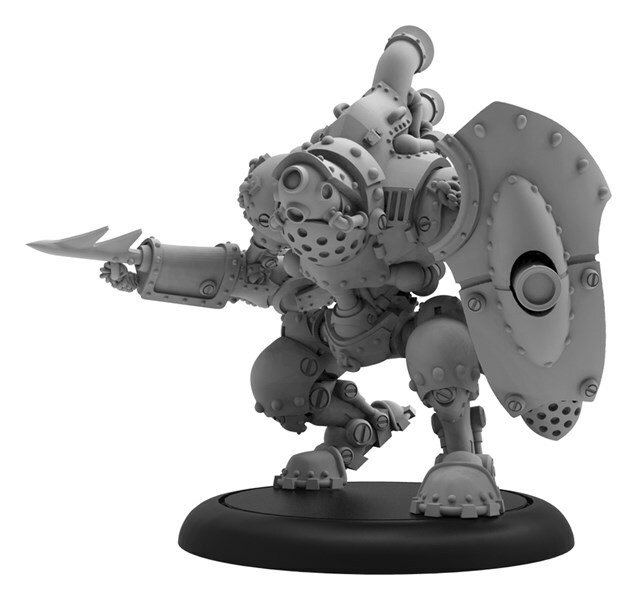 We're just getting into the middle of February, but Privateer Press is already looking forward to further into the year. These are the things they May release. I realize the English doesn't work at all for that joke, but I think it was worth it. 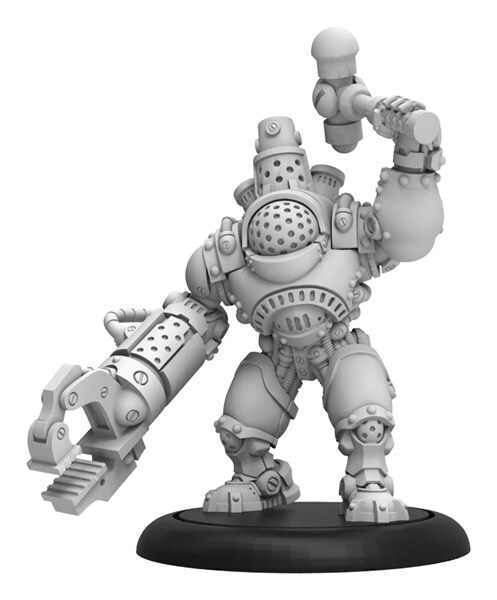 Anyway, let's see what's coming up for Warmachine, Hordes, and Monsterpocalypse. Captain Phinneus Shae has long been fond of the Buccaneer, finding it eminently useful both for labor and fighting. After one of his favorites lost its arm in a scrap, Shae took it to Engines West in Ceryl for repairs and was talked into paying for a complete weapons overhaul, commissioning a pair of axes, one equipped with an integrated cannon. While it took the machine a few weeks to adjust, Scallywag now seems to enjoy blasting enemies with its cannon and only occasionally tries to use either axe as its missing gaff hook. On a busy pirate ship, the sea dogs that crew the vessel come and go, particularly in hostile waters. Oftentimes ships find themselves short on crew and are willing to consider unconventional solutions. 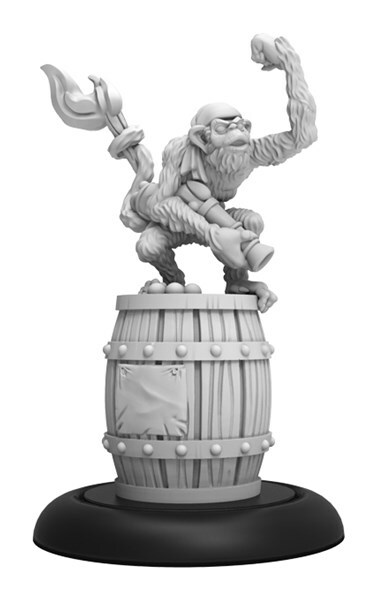 A well-trained monkey can be just as useful as the average half-drunk sea dog for many tasks, including running powder to cannon crews and warjacks. Teaching one to light a readied cannon or even to fire small pistols is well within a monkey’s capabilities. Whether or not it’s actually a good idea to hand a torch to a monkey who sits atop a powder keg is another matter. Among the war-embattled croaks driven to western Immoren, being a leader can be a burden. 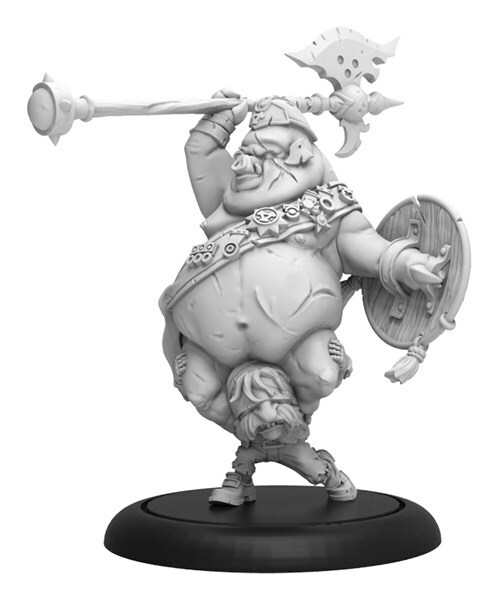 Underchief Mire competes with his oversized brother to earn the right to succeed their father, the aging chief of their displaced tribe. 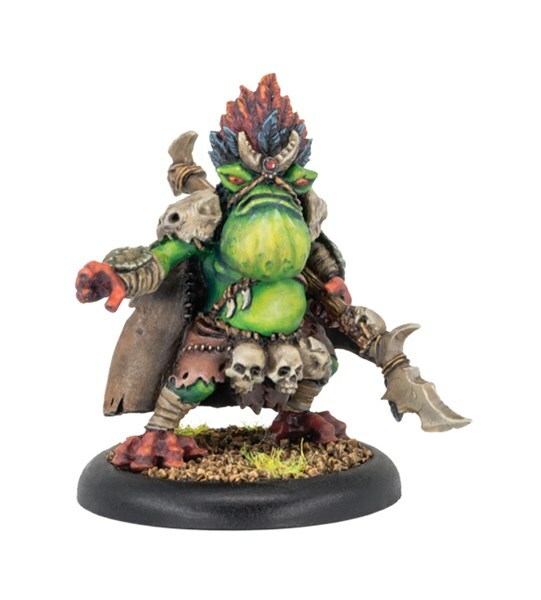 In this contest, Mire has a unique advantage, having formed mystical bonds with beasts of the marshes, including several fetid swamp trolls. 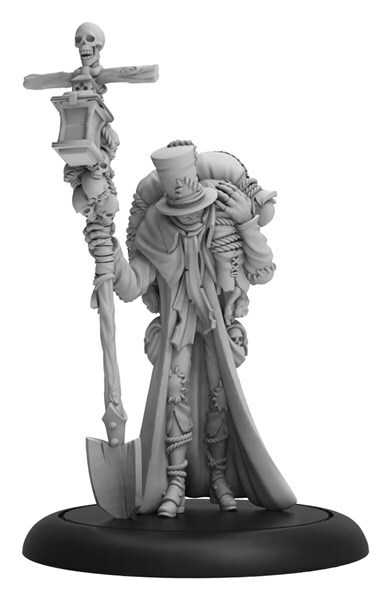 Caustic mists rise at Mire’s command to melt the flesh from his foes, and the croak warlock can walk unharmed amid these vapors, hiding from sight before retaliating. He has earned a place of respect among the wilderness peoples for his cunning and his courage, staying neutral in their conflicts. Greed is the sin that gives rise to the Piggyback, and it is the most greedy and gluttonous who emerge in their ranks to be inflicted with their fattened leaders. Festooned with medals stolen from all manner of army officers, these torpid pigs delight in riding into battle to hack through the wicked. Squealing imperiously to direct their subordinates, no outsider can comprehend their orders, yet the Piggybacks move with alacrity at his beck and call, trampling all enemies beneath their weight. Together they make mockery of all disciplined mortal soldiers. Grave ghouls have a morbidly playful attitude toward the dead, finding a fascination with corpses without truly understanding death. They are especially drawn to the fresh dead, and their actions resemble a shadow play of the undertakers from folktales. They enjoy using their shovels to unearth bodies to display them to their peers or partially burying other grymkin before they have actually expired. Whether seen driving Death Knell wagons or searching among old battlefields, grave ghouls are creepily terrifying and quite dangerous if confronted. They are particularly aggravated by undead, which they feel driven to return to a less animated existence. 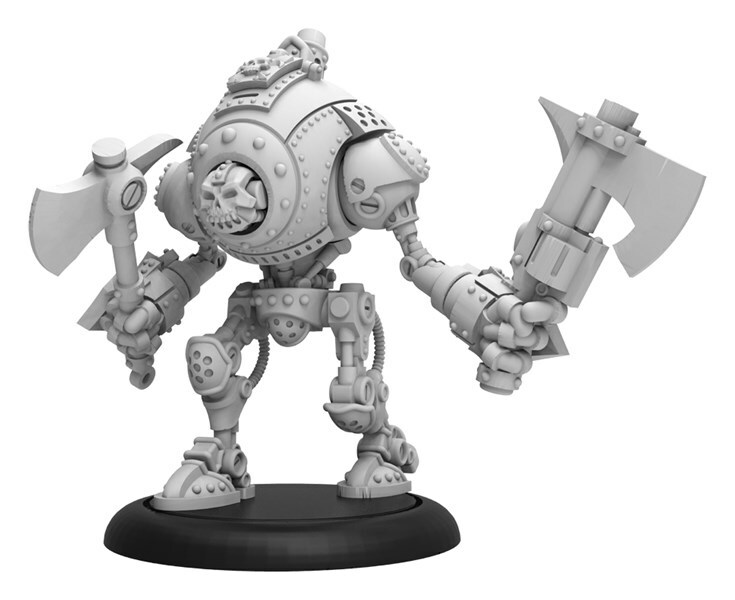 Leading a force of ravenous and destructive creatures from below the soil, Hammerklak is considered a leader of a group referred to, for obvious reasons, as Subterrans. Resembling moles in aspect and methodology, yet utterly brutal and with no regard for the natural world, Hammerklak has proven to be a menace as great as Rogzor or Gorghadra. 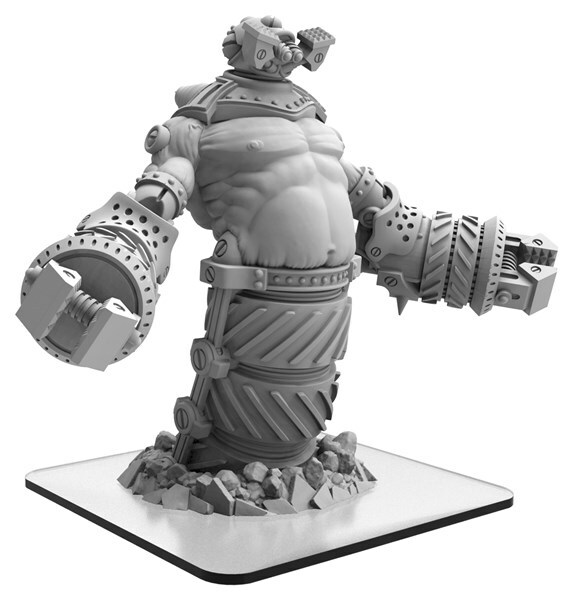 Able to tunnel with unnatural alacrity and emerging to destroy his foes, Hammerklak has a fierce temper, and few can withstand his drills during his berserk rages. 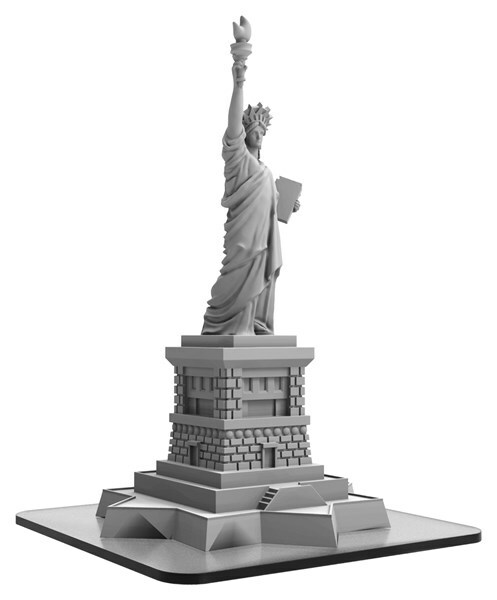 A symbol of peace and prosperity and an unlikely friendship across the ocean’s waters, the Statue of Liberty is certainly a recognizable sight to anyone. The inspiration it has provided down through the decades has manifested in a palpable energy that can invigorate Earth’s guardians or be harnessed and exploited by the horrors that invade from beyond.